A bold exterior, with sleek aerodynamic lines, that commands attention with its distinctive lighting signature, courtesy of all-new LED headlights and Daytime Running Lights. Dual airbags, braking technologies, and RearView Monitor — confidence informed by a legacy of reliability and innovation. Tough jobs, big and heavy hauls. These are the things your NP300 Navara was engineered to handle. Loaded with space and grit to spare, the all-new NP300 Navara will show you what it means to get the job done. The all-new NP300 Navara has an array of luxurious features and touches that give it the feel of a high-end truck. In the NP300 Navara you will find unexpected comfort and space from every seat. Starting with the spinal-support driver’s seat to help make those long rides a lot more comfortable. Plus, Dual-Zone Automatic Temperature Control with circular air vents keeps everything as cool or as warm as you like. Your passengers in the back stay comfortable, too, thanks to their own rear A/C vents. Stay in control wherever the job takes you. Nissan Intelligent Key with Push Button Start offers the convenience of never having to search for your keys. The available sporty, leather-wrapped steering wheel with audio control enhances your driving experience without taking your hands off the wheel. And the available Bluetooth Hands-free Phone System lets you make and take calls with ease. 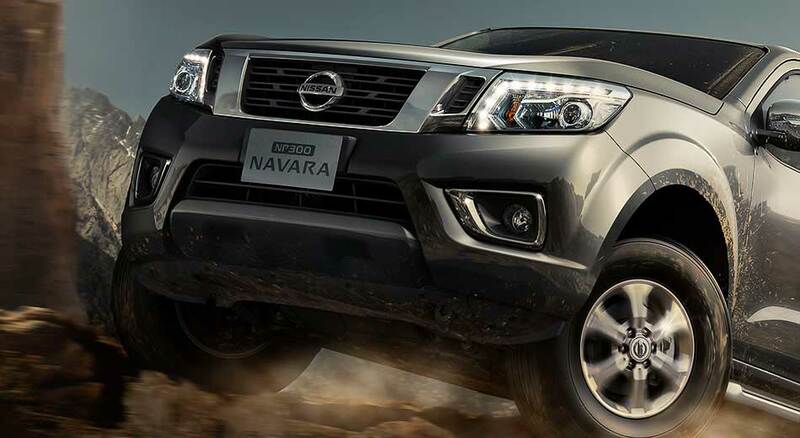 Keep the things that really matter close at hand, inside of your Nissan NP300 Navara. The streamlined interior has been designed with room for everything from tools to beverages.